Spend a day of art making with our Center for Art & Design faculty in this intensive day long event. From start to finish, this studio workshop will be a fun day of art making, combining traditional studio disciplines with state-of-the-art technology. 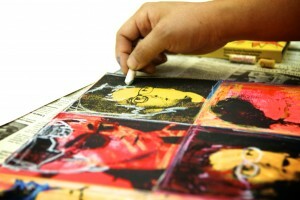 Experience what it’s like to create and transform your artistic vision in the company of fellow artists and inventors. Register today to reserve your place for this unique opportunity. Save your spot on February 15th, 2019 to attend the Saint Rose Studio Workshop Experience.